The new Congress has moved the country into dangerous territory. They have called for ICE to be abolished, and for open borders to be mandatory. In this way, they can get more illegals into the country to build up the numbers of those dependent on government handouts. The progressive socialists have practiced anti-Semitism over the past many years since Obama turned his back on Israel. That anti-Semitism is now front and center with the anti-Semites Ilhan Omar, Rashida Talib, and Alexandria Ocasio-Cortez. Ocasio-Cortez has become a media darling amongst the media and socialists that infest our country. They ignore her many proclamations that prove just how little she knows. I find it interesting that she doesn't even know the three branches of government, something a third grader had already been taught. I suppose some mistakes are made when you are working on becoming a media hungry social media icon. Pelosi needs to explain to her, if you wish to become a social media icon, perhaps you should have picked another line of work. Ocasio-Cortez has shown herself to be a communist who believes in her moral superiority to control the American people. The limited knowledge that she shows appears to be nothing more than the parroting of talking points fed to her by socialist organizations that are working towards the destruction of the American culture. Her plans of centralized government control are nothing more but a refusal of American principles and virtue. Before Christmas, she tweeted about Jesus being a refugee not understanding the real story. Joseph, Mary and the soon to be born Jesus were headed form Nazareth to Bethlehem to pay the taxes required by a Caesar Augustus ordered a census. But we shouldn't expect Ocasio-Cortez to understand religion. Like most progressive socialists, power in their only religion. Ocasio-Cortez claims that those in the Central American caravans aren’t illegal aliens but actually “refugees” who want asylum. It has never been a part of our immigration system that economics was a valid reason for granting asylum. These same refugees attacked our border patrol agents, and many were in fact criminals. 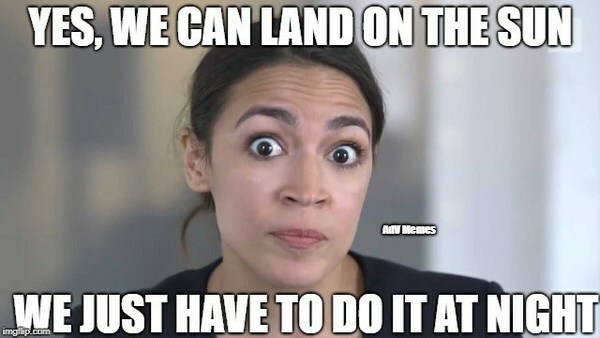 And although Pelosi has claimed that MS13 are angels who need a little understanding, a concept I am sure Ocasio-Cortez agrees with. It is a bit difficult for the American people to accept when MS13 just stabbed a ten-year-old boy over one hundred times and then set him on fire. The American people are not such sheep that will nod their heads and go on their way. She also compared the illegals at our border to those of Jews fleeing Nazi Germany. She has compared the illegals at our border to the Holocaust. I’m not surprised that she would believe so being an anti-Semite that gives a full-throated defense to the anti-semitic ravings of Ilhan Omar. She has been passing a lie about being a poor Puerto Rican girl from the Bronx. AT five she moved to Yorktown Heights where the average household income is $141,200. She attended Boston University, a private college where tuition is $52,816. She interned for Bernie Sanders and was an activist for the Dakota Access Pipeline. The American people expect our representatives to be competent and so far I haven't seen any competence from the wild-eyed socialist who does not even know what socialism is. Her demands in the “Green New Deal” are total authoritarianism and she has yet to explain how to pay for it other than “just print more money." 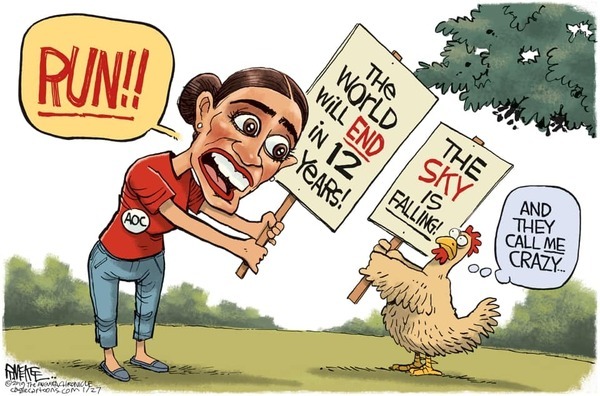 If she can't get enough votes in Congress to implement the debacle she wants the money to set up a select committee for the Climate which of course will be given the opportunity to enact the radical goals without the approval of Congress. I find it informative that she wants $93 trillion for her boondoggle but none for the wall. 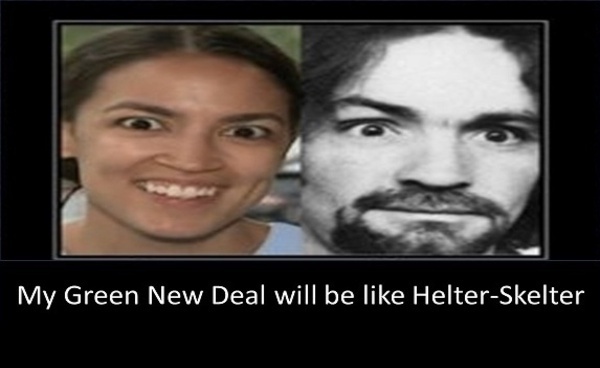 Add to her demands for a green new deal the “Medicare for All," free education for all, and various other socialist programs and the total bill would be more than the entire GDP for the world. But she declares that she is "the boss," even though only 16,000 of the voters in the 14th Congressional District in New York voted for her out of 214,750 registered Democrat voters. The media follows her every move, ignore her misstatements and see no reason why the Democrat party shouldn’t be turned over to a novice. This allows her to be everywhere with the assistance of the media, a neophyte who obviously does not understand how things work. A smiling bull in a china shop who claims she is in charge diminishes those who have worked so hard to make our country what it is. Our country requires our representatives to show a certain amount of decorum and understanding that your "squad" and "swag bags" don't have any function in actually doing your job. It has been made quite obvious by her that illegals crossing our borders in nothing to her. She has already proclaimed that she would give zero dollars for President Trumps “racist” border wall. She refuses to acknowledge that a majority of people in this country do not want our taxpayer dollars to go to the benefit of illegals in the form of handouts that the progressive socialists will be sure to secure for them. It has now been shown that those working behind the scenes of Ocasio-Cortez’s win were various far left socialist organizations linked to many people. Among the most helpful was Geroge Soros. She was chosen by the far left digital media to assure that she would receive favorable coverage. 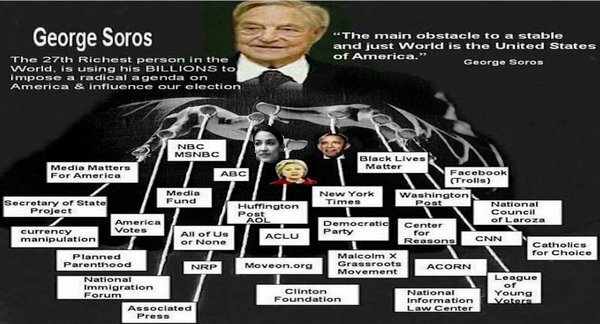 The Justice Democrats and BrandNewCongress.com are both members of the Media Consortium and these sites and others like Mother Jones are all financed by George Soros. Ocasio-Cortez personally thanked Cenk Uygur, an Armenian genocide denier and who was forced out because of sexist comments. On March 15, Cortez along with her socialist puppeteer Saikat Chakrabarti were removed from the governor and board members due to campaign finance violations. It has been shown that the two socialist organization funneled more than $1 million dollars to Chakrabarti’s personally owned companies Ocasio-Cortez lied when she claimed to have left these positions in June 2018. Ocasio-Cortez has thoroughly fed into identity politics by claiming her election was more important than the moon landing. She has already called for the Presidents impeachment but cannot explain why he should be impeached. There is nothing in the Mueller report that would lead to impeachment. If there was, Ocasio-Cortez, along with Adam Schiff would have already bleated it out to the world. This is the same idiot who in her little girl voice and with a look of concern on her face declared in a 60 Minutes interview declared that she thinks there are a lot of people more concerned about being precisely, factually and semantically correct than about being morally right. Rest assured, Ocasio Cortez could care less about what is morally right. Her end game is to gain enough power and indoctrinate our children to believe in socialism so that, in the near future she can use the power they have accumulated to come and take what you have for others because that is what progressive socialists do.